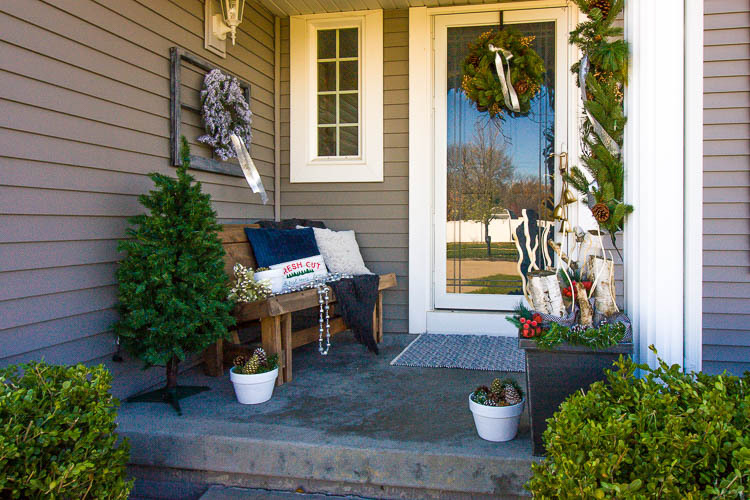 I’m sharing my front porch all decked out for the holidays plus the 6 things you need for festive front porch Christmas decor. Happy decorating! This post is sponsored by Tree Classics. All opinions are 100% my own. I know, I know, I know! It’s still October so why am I posting about Christmas already? 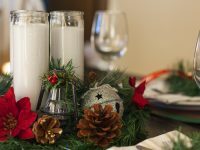 Well, I try to share decorating ideas early on the blog so you have inspiration for when you start decorating for Christmas yourself. Also, I’ll be honest, Christmas decorating is my favorite! I spent yesterday putting up front porch Christmas decorations and I’m so excited about them that I just couldn’t wait to share. 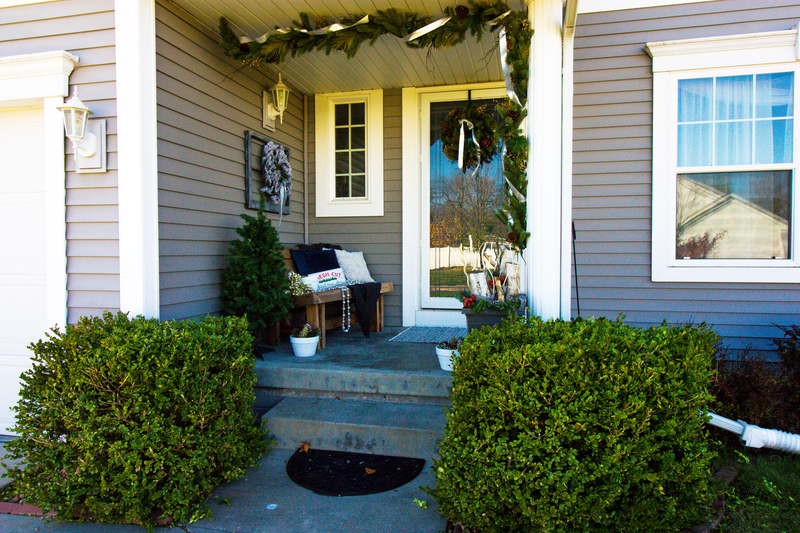 Today I’m teaming up with Tree Classics to bring you my front porch all decked out for the holidays! 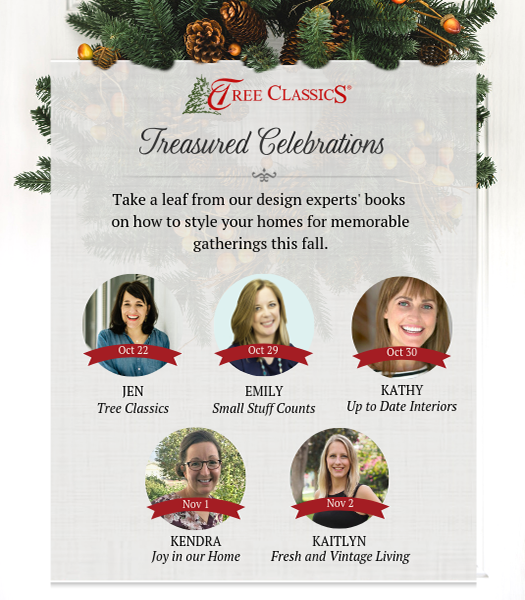 They asked several bloggers to share decorating ideas as part of their Treasured Celebrations event–I’ll leave links to everyone else at the end of this post! We moved into our house last October and Chloe was born November 2 so this is really my first fall decorating our home for the holidays. One part of our house that I’m most excited to decorate for the season is our front porch. It’s the perfect place to hang some garland, put up a wreath and add some festive touches to welcome guests to our home. I love the idea of creating holiday decorating traditions with Chloe as she grows up, and I feel like the little front porch will be a great place for her to help decorate as she gets older. She turns one later this week so she wasn’t much help this year, but we did get bundled up together and she hung out on the bench and ran around the front yard while I was decorating. I may not be able to decorate as fast with a little one walking around, but it sure is fun to see her exploring and taking in new things. We aren’t hosting any Thanksgiving gatherings, so I decided to jump right ahead to Christmas decor for our front porch. But I think a few pumpkins painted in jewel tones would look right at home with the wreath and garland I used. 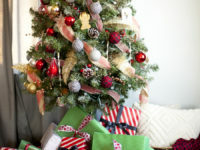 You could easily hang your garland up now while it’s still warm and incorporate fall decor and pumpkins, then rotate in Christmas items later in November. 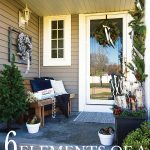 When gathering front porch Christmas decorations, here are the things I think will complete any seasonal porch. Every front door needs a gorgeous wreath! 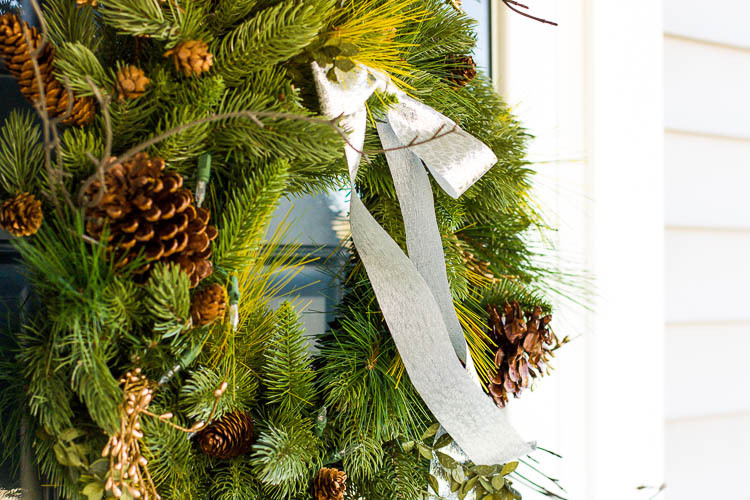 Wreaths are an easy way to add an instant seasonal touch to your home. 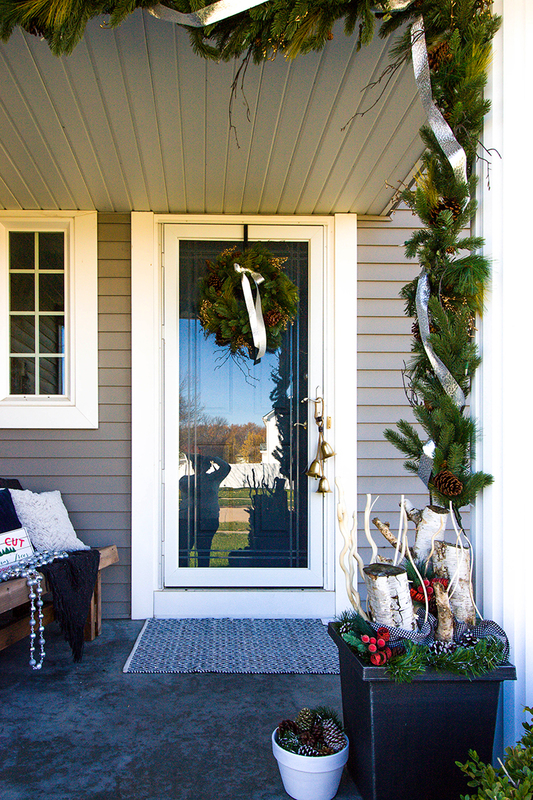 Keep a wreath hanger on your front door and simply swap out the wreaths with the seasons. I hung this super pretty Classic Fraser Fir Wreath from Tree Classics on our front door. I’m impressed with how real the foliage looks and love the mix of greens. I added a silver ribbon to it for a little extra embellishment. This wreath is also super nice because it has a built-in battery pack to operate its lights. 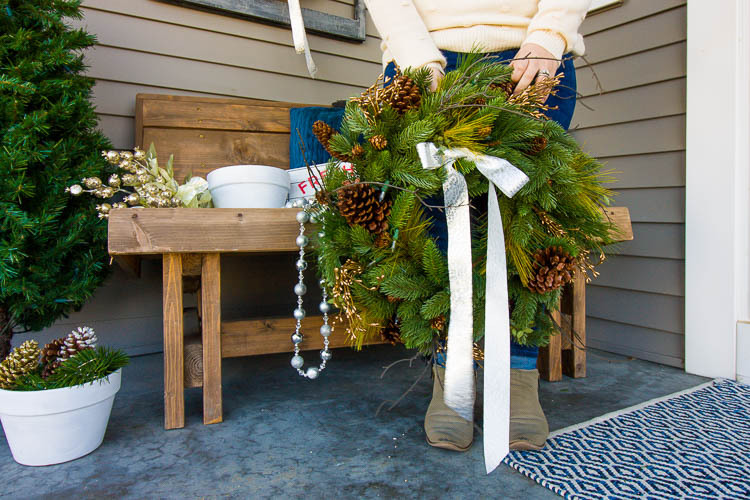 Another way to add a festive touch to your front porch is with a garland. Greenery with lights that give off a soft glow is perfect to add to your stash of front porch Christmas decorations. 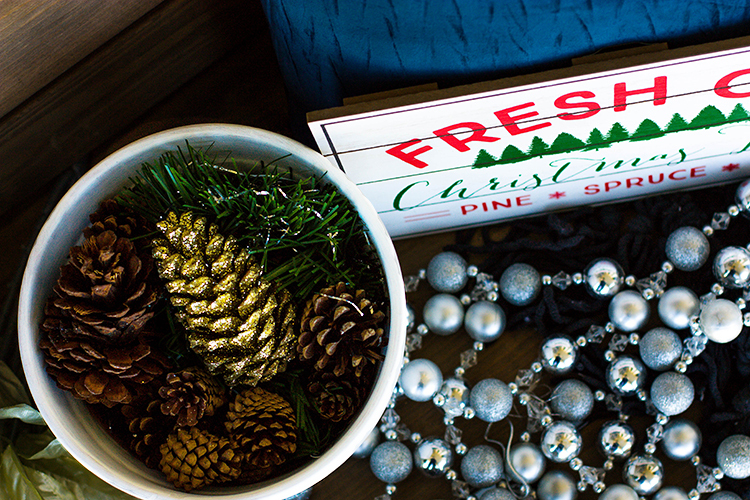 I chose the Classic Fraser Fir Garland to match my new wreath for this year’s front porch decor. It is 12 feet long and has a battery pack to operate the LED clear lights. We hung it across the roof of our porch and down the column, using wire to secure it to small eye hooks. Iowa winters tend to involve a lot of wind and blowing snow, so I want to make sure this garland is well-secured! I finished it off with a little silver ribbon to add some shine. Flower pots are a great way to add color and interest to your front porch all year long! 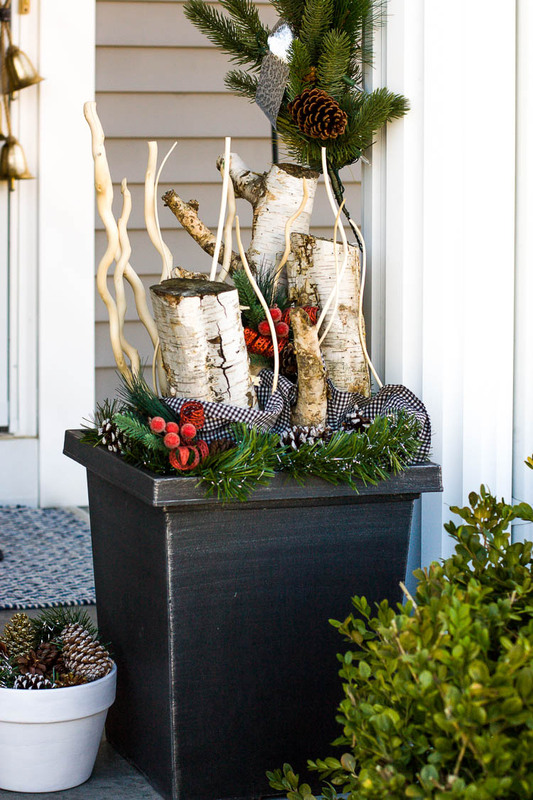 You may not be able to grow flowers in the winter, but there are still a lot of creative ways to create a Christmas-themed flower pot for your front porch. I moved one of our large black planters to the porch and added some random holiday things I gathered up. I’ve had those thin white branches forever and also used some old greenery, thrifted gingham fabric and some firewood. The previous owners of this house left us a stack of firewood that we haven’t really touched so I went in search of a couple logs for my planter and was pleasantly surprised to find a few birch logs buried in the pile. 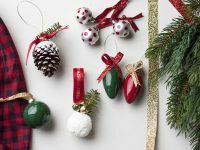 They are perfect for holiday decor! My garland didn’t reach all the way to the bottom of the column, so moving this planter here helped to fill that empty space. I’m so happy with how this planter turned out! It goes to show that sometimes you just need to shop your house and get a little creative to decorate your home. I also filled three white flower pots with cheap greenery and piled pine cones on top. These little pots make nice fillers on the front porch. 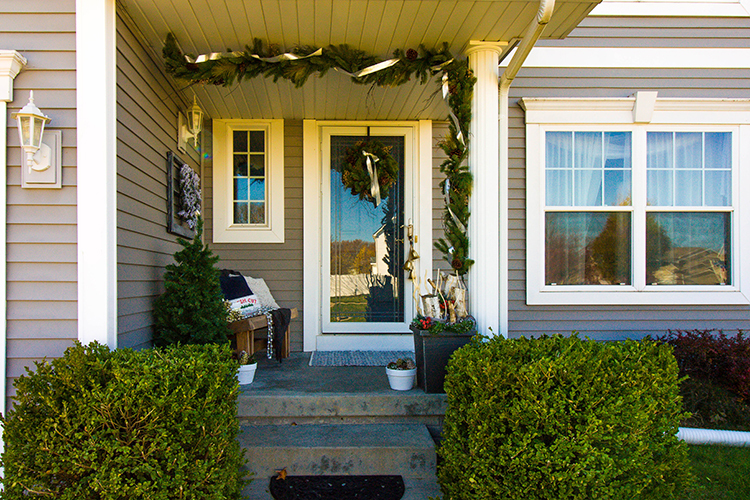 A welcome mat is an easy way to add a special touch to your front porch for the holidays. 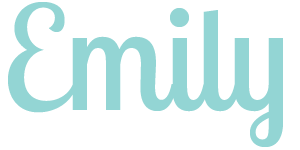 Try switching out the welcome mat with the seasons if you want, or invest in a cute one you can use all year ’round. 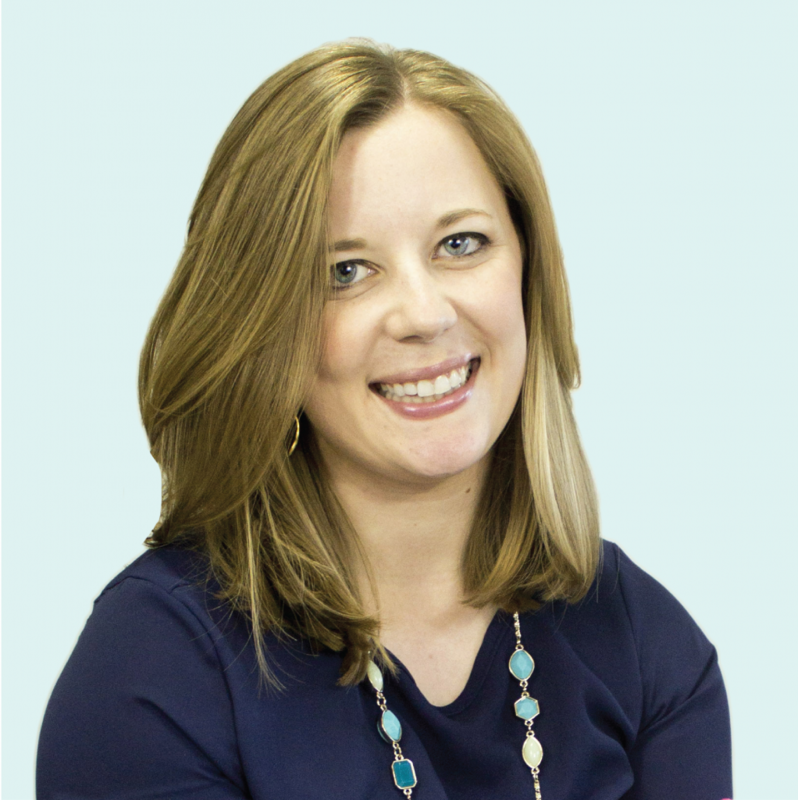 Layering a welcome mat over the top of a larger woven rug is also a great trend right now. I added a larger navy and white patterned rug in front of the door for now. I’ll probably add a cute welcome mat over the top of it at some point and am keeping my eyes peeled for a cute holiday one. Adding a bit of seating to your front porch is another good way to make your front door more inviting. Not everyone will have room for this, but even most small porches have a spot for a little chair or bench. Seating fills up the empty space and gives you a place to add smaller decorative items. Of course, it’s also a practical addition to your porch for tying shoes or just enjoying the weather. My brother made this bench for us for our wedding and it found a home on our front porch when we moved here last year. I filled the bench with pillows and a blanket to make the porch cozy for photos, but to be completely honest those will not stay out here all the time. They would most certainly get blown away in the wind at some point! But I will definitely put a few out here to make the porch more welcoming when we have holiday visitors. 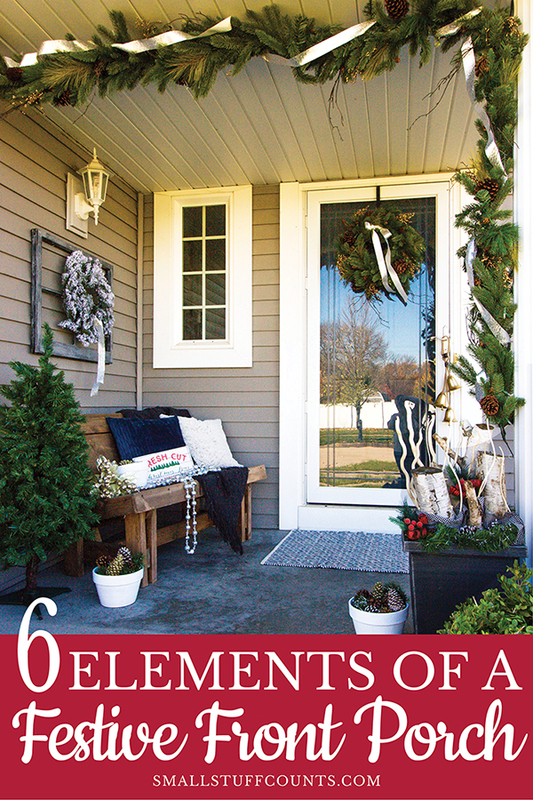 Small decorative accents are the perfect finishing touch to your front porch. 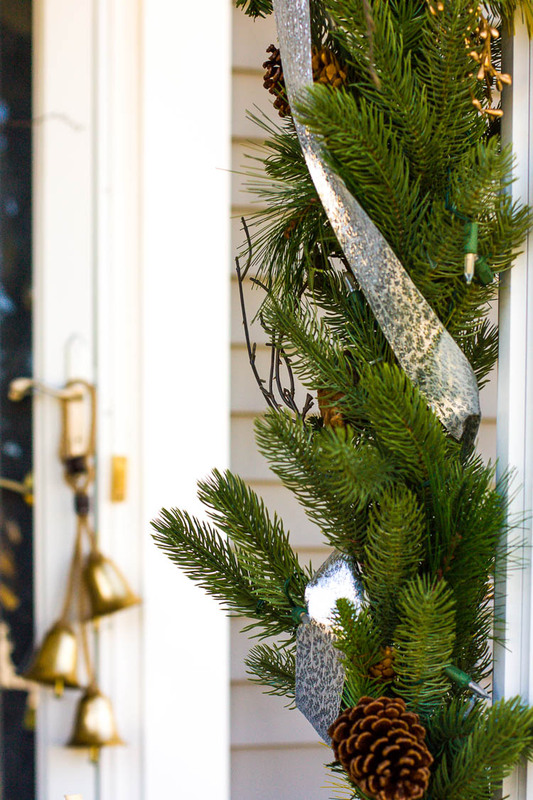 Gather up some festive items and incorporate them into your porch decor. I shopped the Christmas decor in our basement and found a few things to add to my collection of front porch Christmas decorations. The old window frame with a wreath tied onto it fills up the small wall above the bench. The little Christmas tree (purchased for $5 at the thrift store a couple years ago) fills an empty space with more greenery. Little bells on the doorknob and a small sign from last year’s Target dollar spot on the bench are a few of the accents I used. 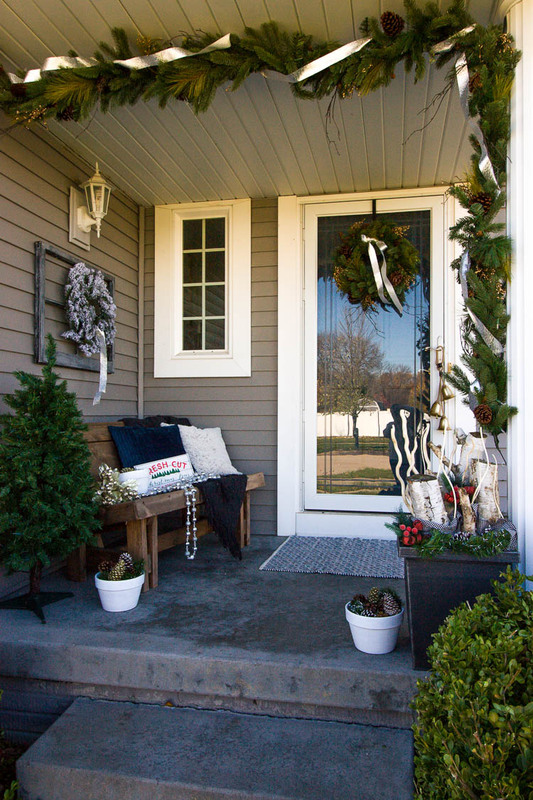 I hope my front porch inspires you to decorate your own front door and porch for the holidays this year! 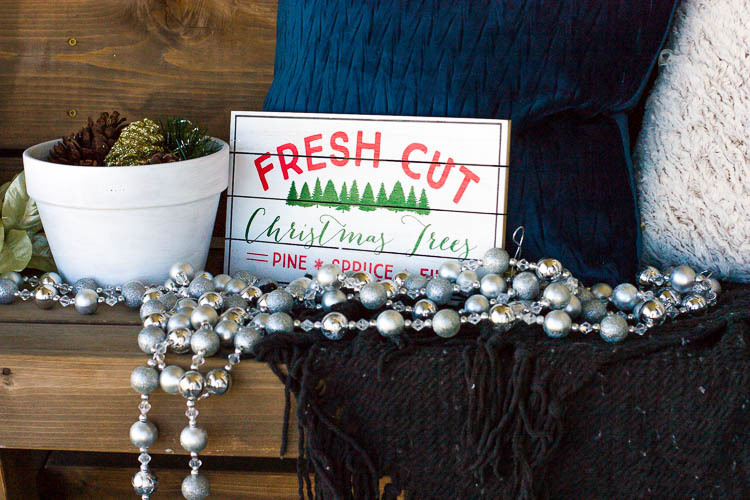 A couple quality items like a great wreath and garland can be combined with a lot of thrifty things to create a welcoming entry for the Christmas season. 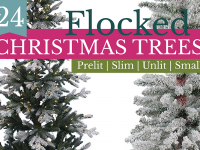 Shop gorgeous garlands and wreaths at TreeClassics.com. The ones with the battery-powered LED lights are so nice!